Match ends, Torino 3, Fiorentina 1. 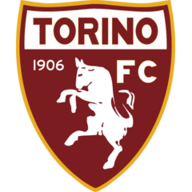 Second Half ends, Torino 3, Fiorentina 1. Corner, Torino. Conceded by Ciprian Tatarusanu. Attempt saved. Fabio Quagliarella (Torino) right footed shot from outside the box is saved in the bottom right corner. Assisted by Alessandro Gazzi with a headed pass. Offside, Torino. Giuseppe Vives tries a through ball, but Danilo Avelar is caught offside. Foul by Ante Rebic (Fiorentina). Attempt missed. Federico Bernardeschi (Fiorentina) left footed shot from outside the box is too high from a direct free kick. Giuseppe Rossi (Fiorentina) wins a free kick in the attacking half. Attempt saved. Giuseppe Vives (Torino) header from the centre of the box is saved in the top centre of the goal. Assisted by Afriyie Acquah with a cross. Attempt missed. Giuseppe Rossi (Fiorentina) left footed shot from outside the box is high and wide to the left. Assisted by Nenad Tomovic. Goal! Torino 3, Fiorentina 1. Daniele Baselli (Torino) right footed shot from outside the box to the top left corner. Substitution, Fiorentina. Ante Rebic replaces Gilberto. Substitution, Fiorentina. Giuseppe Rossi replaces Josip Ilicic. Facundo Roncaglia (Fiorentina) wins a free kick in the defensive half. Goal! Torino 2, Fiorentina 1. Fabio Quagliarella (Torino) right footed shot from the right side of the box to the bottom left corner. Assisted by Bruno Peres with a through ball. Goal! Torino 1, Fiorentina 1. Emiliano Moretti (Torino) left footed shot from the centre of the box to the top right corner following a corner. Attempt blocked. Kamil Glik (Torino) header from the centre of the box is blocked. Assisted by Daniele Baselli with a cross. Corner, Torino. Conceded by Marcos Alonso. Attempt saved. 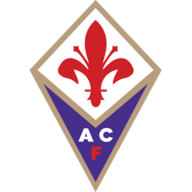 Josip Ilicic (Fiorentina) left footed shot from a difficult angle and long range on the right is saved in the centre of the goal. Assisted by Federico Bernardeschi. Corner, Fiorentina. Conceded by Emiliano Moretti. Maxi López (Torino) is shown the yellow card for a bad foul. Substitution, Fiorentina. Federico Bernardeschi replaces Matías Fernández. Substitution, Torino. Maxi López replaces Josef Martinez. Offside, Torino. Nikola Maksimovic tries a through ball, but Danilo Avelar is caught offside. Danilo Avelar (Torino) wins a free kick on the left wing. Offside, Torino. Bruno Peres tries a through ball, but Josef Martinez is caught offside. Attempt saved. Josip Ilicic (Fiorentina) left footed shot from outside the box is saved in the bottom right corner. Assisted by Nikola Kalinic. Nikola Kalinic (Fiorentina) wins a free kick on the right wing. Offside, Torino. Emiliano Moretti tries a through ball, but Josef Martinez is caught offside. Delay in match Ciprian Tatarusanu (Fiorentina) because of an injury. Foul by Nikola Kalinic (Fiorentina). Second Half begins Torino 0, Fiorentina 1. First Half ends, Torino 0, Fiorentina 1. Attempt missed. Nikola Maksimovic (Torino) header from the centre of the box is just a bit too high. Assisted by Daniele Baselli with a cross following a corner. Corner, Torino. Conceded by Gonzalo Rodríguez. Foul by Mario Suárez (Fiorentina). Josip Ilicic (Fiorentina) wins a free kick in the defensive half. Delay in match Fabio Quagliarella (Torino) because of an injury. Attempt saved. Fabio Quagliarella (Torino) header from the centre of the box is saved in the top left corner. Assisted by Danilo Avelar with a cross. Matías Fernández (Fiorentina) is shown the yellow card for a bad foul. Attempt blocked. Mario Suárez (Fiorentina) header from the right side of the box is blocked. Assisted by Josip Ilicic with a cross. Corner, Fiorentina. Conceded by Danilo Avelar. Gonzalo Rodríguez (Fiorentina) is shown the yellow card for a bad foul. Josef Martinez (Torino) wins a free kick in the attacking half. Offside, Torino. Kamil Glik tries a through ball, but Josef Martinez is caught offside. Danilo Avelar (Torino) wins a free kick in the defensive half. Hand ball by Danilo Avelar (Torino). Josip Ilicic (Fiorentina) wins a free kick on the left wing. Delay in match Danilo Avelar (Torino) because of an injury. Attempt saved. Nikola Kalinic (Fiorentina) header from the centre of the box is saved in the bottom left corner. Assisted by Nenad Tomovic with a cross. Attempt missed. Marcos Alonso (Fiorentina) header from the centre of the box is too high. Assisted by Gilberto with a cross. Marcos Alonso (Fiorentina) is shown the yellow card for excessive celebration. Goal! Torino 0, Fiorentina 1. Marcos Alonso (Fiorentina) right footed shot from the left side of the box to the bottom right corner. Attempt saved. Nikola Kalinic (Fiorentina) header from the centre of the box is saved in the centre of the goal. Assisted by Borja Valero with a cross. Nikola Kalinic (Fiorentina) wins a free kick in the attacking half. Josef Martinez (Torino) wins a free kick in the defensive half. Attempt blocked. Marco Benassi (Torino) right footed shot from the right side of the box is blocked. Assisted by Josef Martinez.